In a superb twist for the contestants, Bigg Boss announced surprise eviction just as they were about to call it a day. In the final segment of tonight's episode, Bigg Boss summons all the contests in the garden area for surprise eviction. Puneesh and Akash scored lowest number of votes and were asked to give their farewell speech. Puneesh only thanked Shilpa for being his support all through the journey. Akash individually thanked Hina Khan, Shilpa and Vikas Gupta. In the end, Akash was eliminated and Vikas, Hina, Shilpa and Puneesh qualified for the finale of Bigg Boss 11, which is scheduled for the weekend. 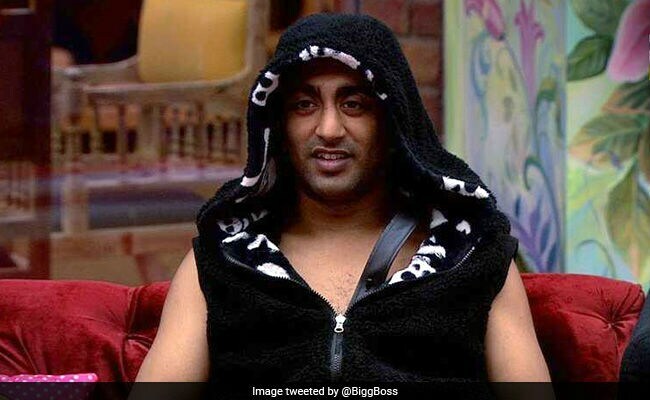 Tonight's episode of Bigg Boss 11 started with the discussion about Akash Dadlani's alleged inappropriate behavior towards Shilpa Shinde. A few weeks ago, Shilpa had reprimanded Akash for kissing and trying to snuggle her without her consent and this topic was resurrected again after Shilpa complained about it to other contestants. Vikas Gupta asks Akash to be careful with his behaviour as he is spoiling his image in front of the viewers. The discussion comes to an end as 'Arshi Chahti Hai' task, which aims to find the meanest contestant starts again. The first contestant to be tormented is Akash Dadlani. Contestants pledge to destroy many of Vikas' belongings and Arshi choses Vikas to complete his pledge. Vikas wanted to spray on Akash's bald head and destroy his favourite shoes. Vikas successfully dipped his shoes in red paint but Bigg Boss prohibited Vikas to spray on Akash's head. Instead he emptied a bucket of slime on Akash. All the contestants laughed hysterically. Next up was Hina Khan. Akash said he can destroy Hina's hot-bag while Puneesh says he can destroy two of her night outfits, Shilpa says she can destroy Hina's favourite 'sherkhan' cup and lastly, Vikas promises to paints Hina's favourite blue bathrobe red. Arshi chooses Shilpa. Hina hands over her cup to Shilpa, who in turn breaks it into pieces. Hina requested Shilpa to give up but Shilpa went ahead to become the meanest contestant. When others accused Shilpa of taking out personal grudge, the Bhabhiji Ghar Par hai actress chanted that it was 'just a task.' Hina said that she retracted from her words when it was Vikas' turn but not when she was up against Shilpa. In the press conference Hina had accused Shilpa of not performing tasks and Shilpa quoted her again and again and said, "Now, I have done a task." Hina was upset after losing her mug and Vikas tried to console her. Shilpa in another room told Puneesh that every time she took a back step to not be mean, which everyone interpreted as her weakness and inability to perform task. The third contestant of the episode was Puneesh. Vikas says he can wax his full body, Hina says she can destroy the jacket Bandagi gave her while Shilpa said she can spoil his favourite red shoes and Akash says he can destroy a wardrobe, which Puneesh really likes. Arshi choses Vikas but Hina says that Vikas' task is not about being mean rather inflicting pain. When Vikas starts waxing, Shilpa and the others start complaining that it doesn't look mean but Vikas eventually wins the task. Arshi leaves after the task. Later, Puneesh and Shilpa discuss Vikas' attitude. Shilpa is upset with Vikas' two-faced behaviour.